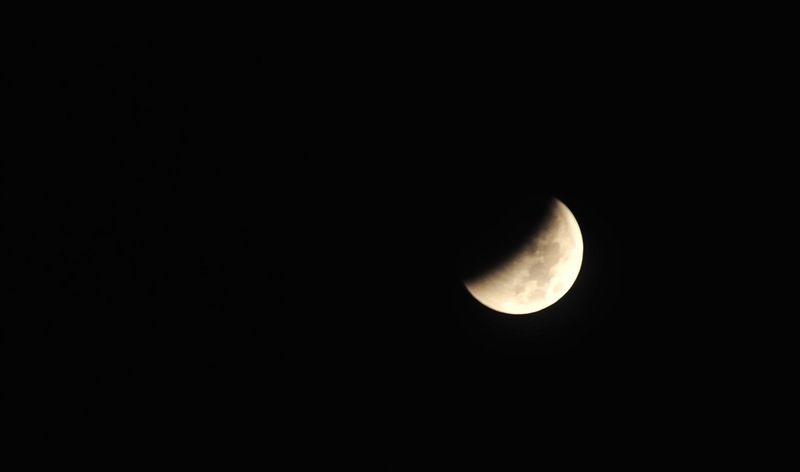 There was a total elipse of the moon in the Okinawan skies between 4:00 am and 5:00 am on Saturday morning. I watched it from my balcony. Amazing, although no real hint of redness.